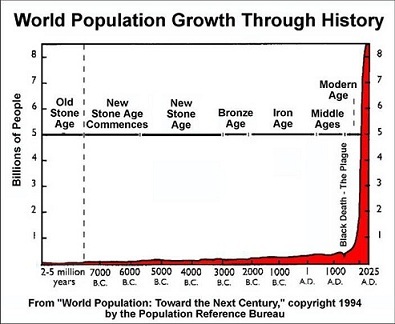 No doubt, capitalism has largely enabled the huge growth of human numbers in the last two hundred years. But human population growth has been occurring even in pre-capitalist eras. Parallel to this, also environmental destruction has been occurring and growing in these eras. It is not good to tell our readers only half the truth. 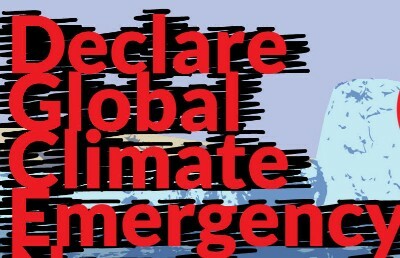 From Entitle Blog: The “Warning to Humanity” signed by more than 15.000 scientists calls for action to save the planet proposing elitist environmentalism and missing the real target. The problem is not in the “barbarian hordes” and the “overpopulation bogeyman” but in the West’s “imperial mode of living” that is now expanding around the world. 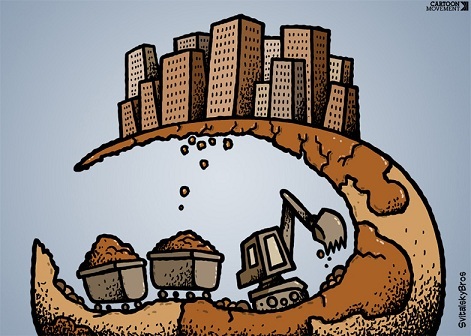 Richard Heinberg writes: Over the past century-and-a-half, fossil fuels enabled the rapid growth of resource extraction, manufacturing, and consumption; and these in turn led to population increase, pollution, and loss of natural habitat and hence biodiversity. Our core ecological problem is not climate change. It is overshoot, of which global warming is only a symptom. Even when we question the personal impacts of modern technology, how many of us consider how our dependence on technology might be harming us? Or question the belief that technological advances will save us from our most pressing environmental and societal challenges? Richard Heinberg tackles this thorny issue in this brilliant essay and animation feature. 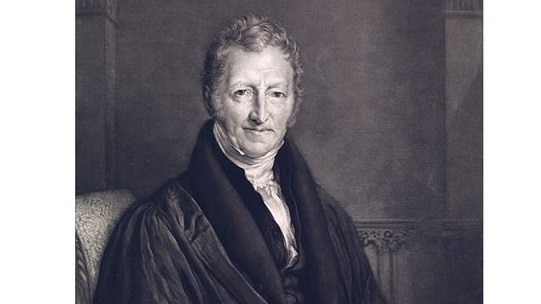 Thomas Robert Malthus, we need your voice today! John Scales Avery writes in Countercurrents.org: Malthus’ “Essay on The Principle of Population” was one of the first systematic studies of the problem of population in relation to resources. He was the first to stress the fact that, in general, powerful checks operate continuously to keep human populations from increasing beyond their available food supply. 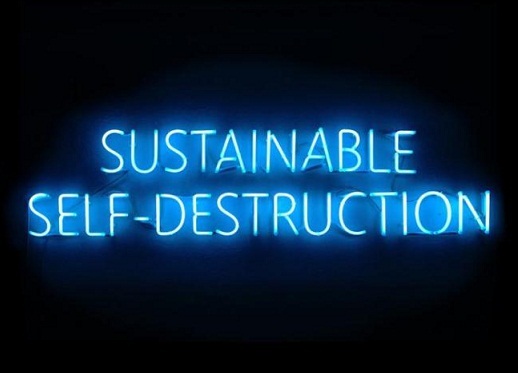 Lionel Anet writes on Countercurrents.org: The ultimate way to reduce our footprint on the planet is to reduce our population, a near impossible task in any civilisations but particularly capitalist ones. That’s the reason it’s shelved before it’s planned, except for the cruel Chinese example. Nevertheless, it must be done if we are to survive. Editor’s Note: Last week, Ecologise carried the well-known Marxist scholar John Bellamy Foster’s foreword to a new book, Facing the Anthropocene. In response, noted eco-socialist writer Saral Sarkar posted a comment questioning the usefulness of Marxist analysis in understanding the global ecological crisis. 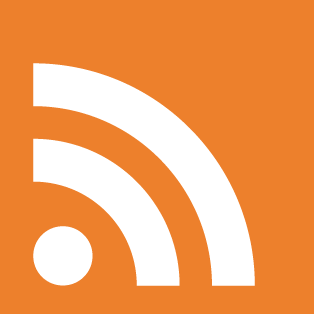 This short piece, first published on Ecologise, is Foster’s reply to Sarkar. 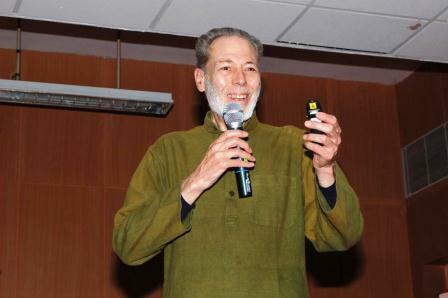 From TheWire.in: Ecological economist, Gandhian thinker and author Mark Lindley has some stark warnings for the future of hi-tech societies, and a few ‘prescriptions’ for India and for economists, who he says vastly underestimate the gravity of the looming environmental crises. 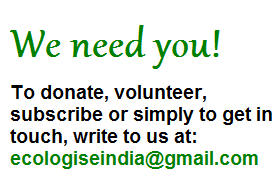 Ecologise and Graama Seva Sangha recently organised a lecture series by Lindley in Bangalore. Kanti Bajpai writes: India’s water crisis is a clear sign that a storm of epic proportions is on its way. 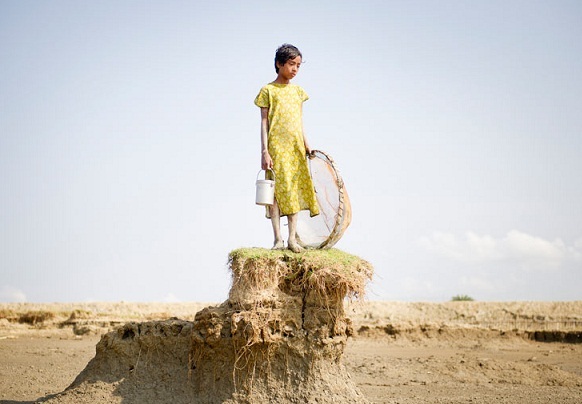 India’s per capita water availability is now below the threshold level of 1,400 cubic metres per person. If so, India is heading from ‘water stress’ to ‘water scarcity’ and the possibility of internal water wars.